Samoëns, a stunning resort in the heart of the Grand Massif, remains relatively unknown. 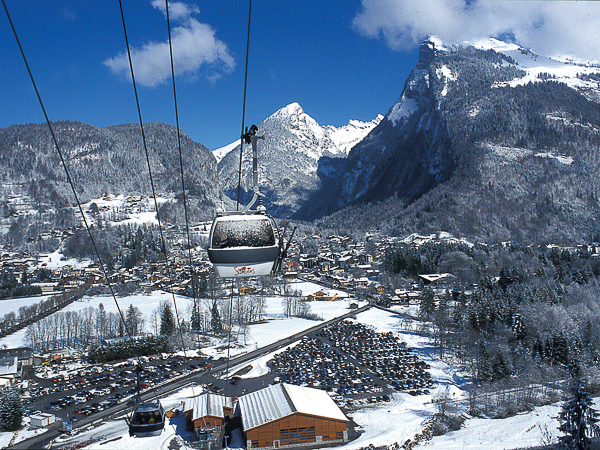 Picturesque and full of charm, it offers over 265km of pistes, linked with Flaine, Morillon, Les Carroz and Sixt Fer-a-Cheval, which cater for all abilities of skier. The village itself dates from the 13th century and is the historic centre for the Haute Savoie’s stone mason trade and remains largely unspoilt. Accessing an extensive and varied ski area, Samoëns offers skiers of all abilities plenty to do both on and off the slopes. With its large ski area, good snow record, historic resort village and only 1hr 10mins airport transfer from Geneva (with no torturous hairpins! ), Samoëns really is an excellent choice for 3 or 4 day short ski breaks. The Grand Massif has one of the best snow records in the Alps, and with the ski area rising up to 2500m on predominantly north facing slopes, this makes Samoëns a great choice for reliable skiing from just before Christmas until the end of April. Samoëns is situated in the beautiful Giffre valley, surrounded by seven dramatically beautiful mountain peaks. The village is home to a year-round community; the atmosphere is relaxed and welcoming, and it exudes old world charm. The views of Mont Blanc and the surrounding mountains are some of the most spectacular in the Alps, and the impressive domain has something for everyone. 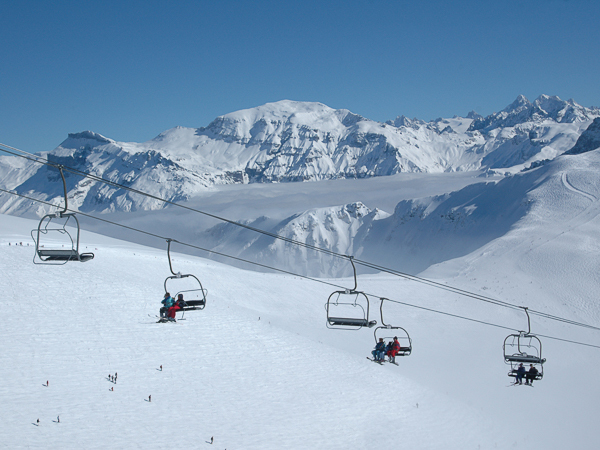 The main access to the ski area is via the modern, powerful Grand Massif gondola lift. 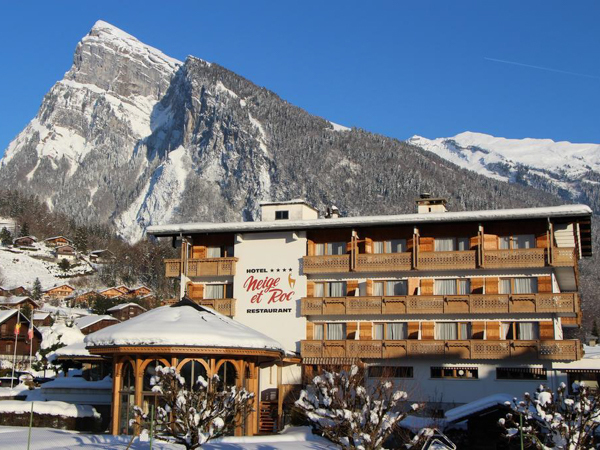 If you are looking for fabulous views and scenery, a traditional and historic resort, excellent skiing within easy access of Geneva airport, then Samoëns and the Grand Massif will tick all the boxes for your short break holiday. If you have any questions about skiing or snowboarding in Samoëns, the Grand Massif region or any other aspect of a short ski break in the French Alps, we have 15 years of local knowledge to share and are here to provide all the information you need. 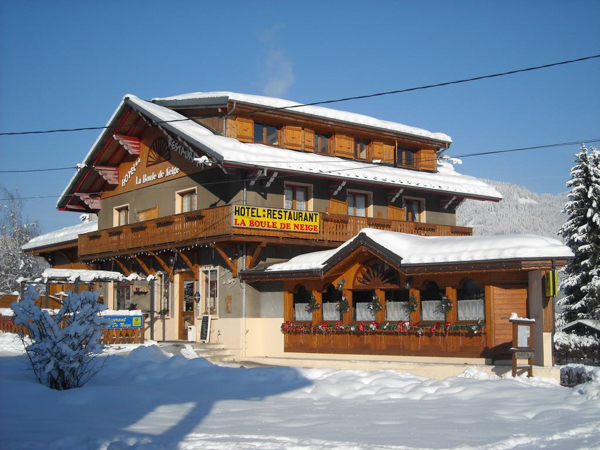 Hotel Boule de Neige is a small, comfortable French hotel in a perfect skiers location. This ski-in /ski-out hotel is next to the lift, and has a popular après-ski bar next door, so everything you need for a fun-filled short break is on your doorstep. Neige et Roc offers the quality features, comfort and service of a 4 star hotel for an enjoyable and relaxing stay: refined traditional Savoyard cuisine, comfortable rooms with spectacular views, and a good spa & leisure area. Looking for a Ski Holiday in Samoëns?